We were pretty amazed by the stereo Rich Recording achieved with the HAAC microphones on the Nokia 808 PureView, that is why it was somewhat of a disappointment to hear from Nokia's camera guru Damian Dinning that the Lumia 920 will feature such mic setup as well, but record mono sound. 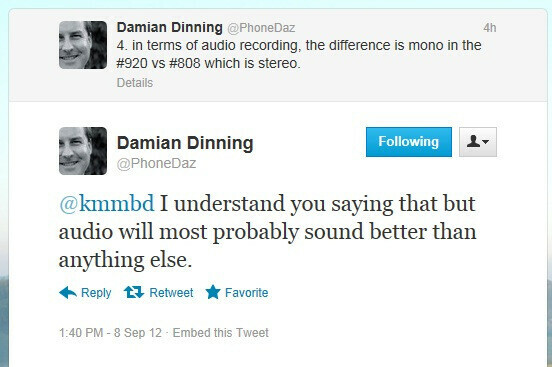 His tweet, however, answering questions about the camera when the Lumia 920 was introduced, stated that the only difference is mono vs stereo. Still, he said, the sound recorded with the 920 will likely be one of the best out there, due to the Rich Recording tech, which captures a wider sound range than other smartphones, without distortion. Well. it seems that Damian Dinning has been right all along, judging from the amateur video below, recorded with a Lumia 920 at an indoor concert. We can clearly hear the thumping bass, which rarely gets recorded like that in video footage taken with a smartphone, but also the singer's narrative is easy to catch. Of course, it would be best if we also had it in stereo, but here's to hoping for the next PureView Windows Phone editions. the guys over at engadget and cnet should be ashamed of themselves... they covered none of these features and made it sound like the camera on this phone is just as good as in other high end phones. Hopefully we'll see a lot more higher quality concerts on YouTube now. No other phone than the Pureview 808 has stereo recording......so post's about oh the 920 has just mono recording is wrong all phone except the 808 has mono recording! Nokia N8 says hello!! 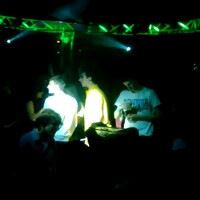 :) If I am not wrong even Galaxy SII (don't know about SIII or Note/II) got stereo audio recording after some firmware update. Not that it was very impressive. Nonetheless, your claim is questionable. You are right, my N8 has stereo recording, and the SG2 afster update. NOKIA LUMIA... AMAZING FOR EVERYDAY!!! Yup.....lumia 920 amazing n connecting people.